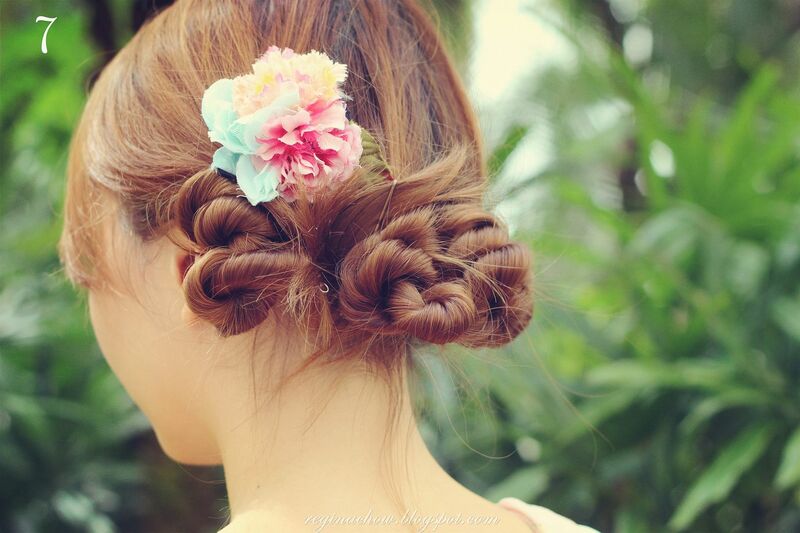 Home » beauty » hair » reviews » tutorial » Hair Tutorial: How To Style An Updo In 5 Minutes! I love experimenting with new hairstyles and am constantly on the lookout for new styles that are easy to pick up and don't take up too much of my time since I'm always on-the-go. This twist updo that you see here is one of my favourite go-to hairdos as it is a breeze to style and takes all but 5 minutes! 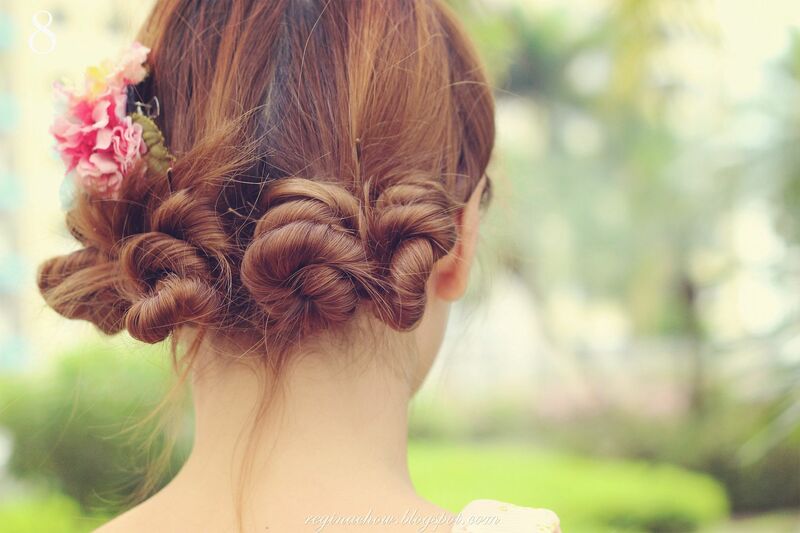 This updo is so versatile, it can easily take you from day to night. I personally think it would make a fantastic hairstyle for bridesmaids too. 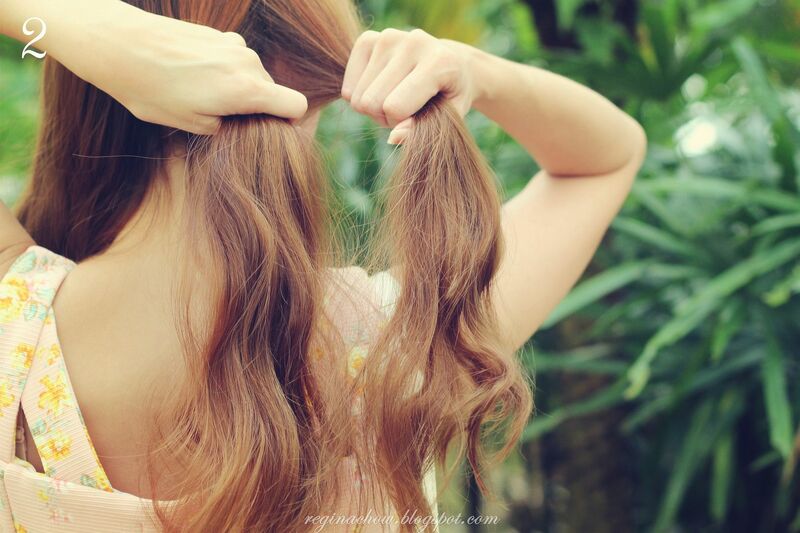 Separate your hair into 2 parts down the middle. Separate each part further into 2 sections. You will end up with 4 sections in total. Twist each section, starting with the outermost section. Roll the twisted section into a little bun. Secure the ends of the bun with bobby pins. I prefer to use brown bobby pins (as opposed to the black ones) as they blend in much better with my hair colour. If you're interested, I got mine from Watsons. 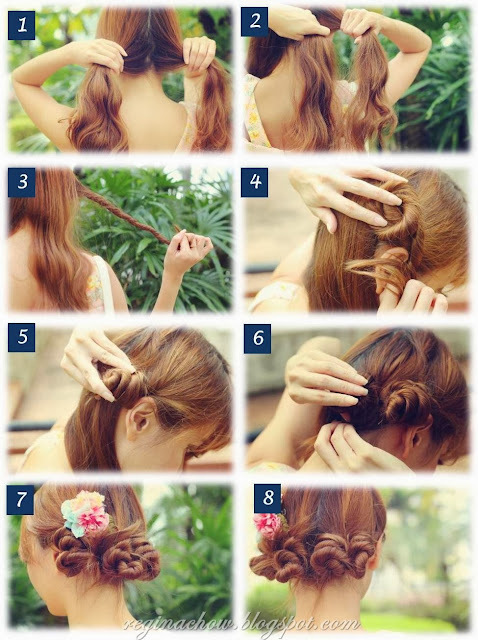 Repeat steps 3-5 until all your hair is twisted and bunned up! Accessorize with a flower pin or a cute bow of your choice to complete the look! 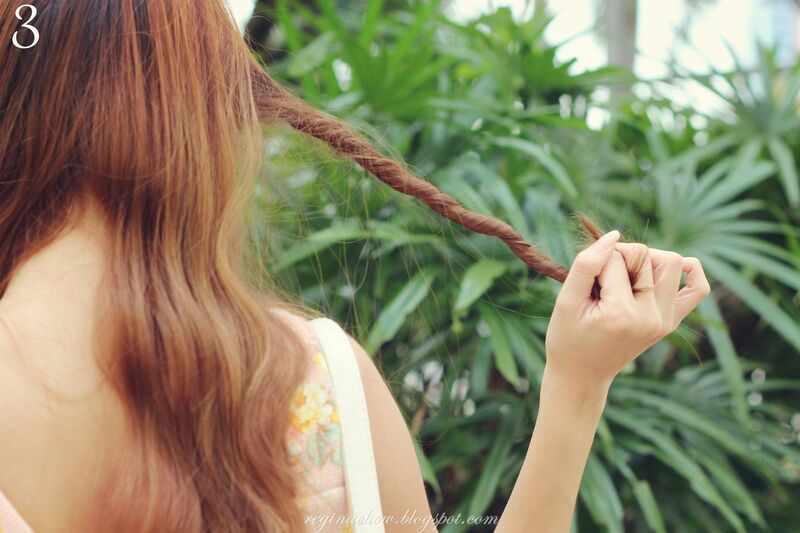 I'll be sharing more hair tutorials here, so do keep a lookout for them!